In 2015 Aer Lingus was taken over by IAG, also the parent company of British Airways and Iberia. Aer Lingus & oneworld — yay or nay? Aer Lingus and oneworld have had quite a history so far. Aer Lingus was part of the oneworld alliance until 2006, at which point they pulled out, realizing they were more focused on being a low cost carrier. With IAG having taken over Aer Lingus, there has been a lot of talk about them once again joining oneworld. When Aer Lingus was first taken over by IAG, Willie Walsh (CEO of IAG) said that Aer Lingus would eventually join the oneworld alliance, and also the oneworld transatlantic joint venture (which is comprised of American, British Airways, Finnair, and Iberia). He indicated that while he didn’t have an exact date, he expected it to be around 2017. There’s now an update on all of this. Aer Lingus still doesn’t necessarily intend to join the oneworld alliance, though there are now plans for Aer Lingus to join the oneworld transatlantic joint venture. The airlines involved (Aer Lingus, American, British Airways, Finnair, and Iberia) have just filed with the DOT requesting antitrust immunity for Aer Lingus to join the joint venture. Again, this is different than Aer Lingus joining oneworld. As a matter of fact, the filing specifically says that no decision has been made about whether or not Aer Lingus would join oneworld. Assuming this is approved, I think it’s safe to assume that there would be reciprocal benefits across all the airlines, so I’d expect you could earn and redeem American miles on Aer Lingus, etc. At this point it sure seems to me like the most likely scenario is that Aer Lingus would become a oneworld Connect member. This is a way for an airline to join without paying full fees, and it allows them to offer certain benefits only among select airlines. Since they’ve been hesitant to join oneworld fully, I think it’s almost certain that this is what’s being angled for. Is Aer Lingus joining the joint venture a good thing? An airline joining a joint venture is good or bad news, depending on how you look at it. On the plus side, it would mean that more passengers would likely receive benefits when flying with Aer Lingus, including the ability to earn and redeem miles. It would also allow airlines to better coordinate flight schedules, and to maximize connectivity for passengers. That’s a positive, but there’s also a huge downside. Joint ventures essentially operate as a single business, so it would be the equivalent of eliminating a competitor in the marketplace. Aer Lingus would go from competing with American and British Airways to simply being part of their overall flight options. What are some potential implications of them joining the oneworld transatlantic joint venture? Facilitating a cargo joint business that will allow for more efficient and competitive cargo operations. We’ll have to wait and see if the DOT approves this joint venture. It sounds like Aer Lingus still doesn’t actually want to join oneworld fully, but I expect a oneworld Connect membership is in their future. While being able to earn and redeem American miles on Aer Lingus would be nice, I hope this doesn’t get approved. We need more competition in the US, and not less competition. 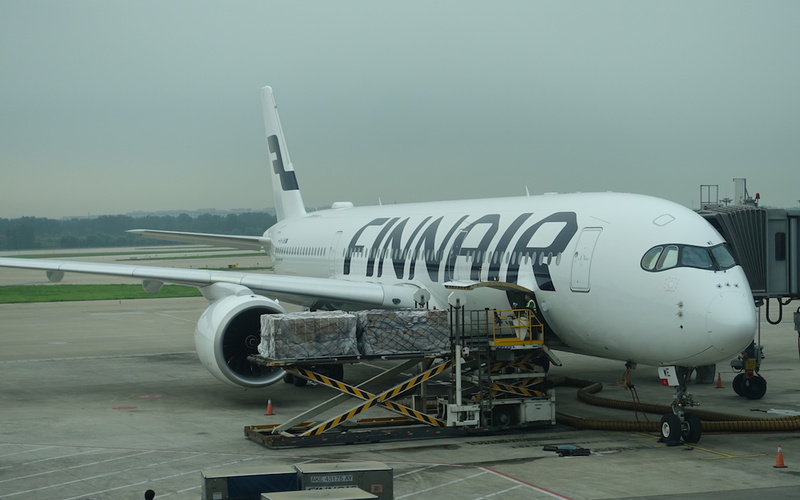 Essentially eliminating a competitor from the landscape leads to higher fares, and also makes it tougher for other airlines outside of the major transatlantic joint ventures to compete. Would you like to see Aer Lingus join the oneworld transatlantic joint venture? I absolutely would not like to see Aer Lingus join OneWorld, either as a Connect partner nor a full member. In the US we let the airlines merge and merge and merge until there is little real competition left. I really hope that other governments will be less ready to let airlines merge to the point where they have a stranglehold on the market. The list of benefits to customers is risible. How can “stimulating new demand” be a benefit to a flyer? It is of course a benefit to the one who is doing the suppling, not one who is creating demand. What I would like to see alongside these “benefits” that will come to consumers are a frank list of benefits consumers would lose – as you have done in your column, Lucky. I’d rather a full merge didn’t occur. Transatlantic flights are cheap enough to pay for, in my opinion. Any merging will lead to more ecpensive flights. I’d rather use my points for other, more expensive, routes (South/North America, for example). Right, because increased efficiency for airlines has truly ever led to positives for the consumer in the form of lower fares. Why can’t airlines just stop lying about this? 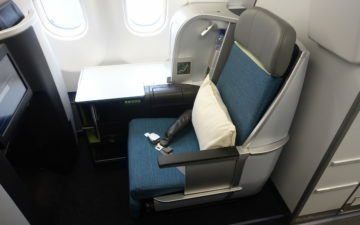 I have an Aer Lingus award ticket IAD-DUB booked with UA miles for July due to their joint venture. If that is ended, would previously-booked tickets be cancelled? For us Aerclub members based in Ireland, anything that gives us mutual status recognition and tier points on BA and AA is welcome. Since Aer Lingus was swallowed up by IAG fares across the pond on their services have risen significantly and they no longer represent the value they did before. If they join oneworld I would only expect further rises so not good news. I vote no. I’ve never seen an LAX-DUB seat in I anyway. Oneworld doesn’t have a joint venture – the above airlines, who are members of OW, have a joint venture. Oneworld isn’t an airline operator. EI also codeshare with AC and KL. Will be interesting to see the future impact on these routes out of ORK where EI is the monopoly airline. For example the vast majority of pax on the daily EI ORK-AMS (codeshare with KL) route are connecting onwards to non-Oneworld airlines. Disaster. Hate hate hate HATE this!!!! It will be interesting to see what this means for routes to/from airports like BHX (Birmingham). One hour from central London (Euston) by train, BHX train station is literally “at”/in the airport, not unlike the DLR station at LCY, and the BHX/DUB flights are roughly 15 to 20 minutes shorter than from LHR, LCY, LGW. I have noticed over the past 10 years that flying TA with Aer Lingus and trying to get award tickets in business class is neigh on impossible. Why, well it has to do with the codeshares etc that EI have with so many US carriers. Flyers in the US have reasonable access to status in various ways, but the Irish based passengers have zilch access other than paying to fly. You need to correct your terminology, oneworld is an alliance of airlines based on benefits. A joint venture is a bilateral or multilateral agreement fir a deeper cooperation that requires ATI, as such a oneworld joint venture cannot exist. It just happens that the existing partners in their JV are also oneworld partners.